What is probably the world's first virtual reality (VR) movie theatre opened last week in Amsterdam. The VR Cinema is a venue created by Dutch start-up Samhoud Media that toured around several major cities in Europe and now has found a permanent home in Amsterdam. The concept is spreading, with Madrid, Berlin, Paris and London also expected to get their own VR venues soon. Until recently VR content tended to be viewed in isolation, but VR Cinema is making the experience more social. In Virtual Reality at the Sundance Film Festival, we outlined how Hollywood studios have been creating an increasing amount of VR content. More than 24 VR movies were shown at the Sundance Film festival in January, more than double the year before. The enablers for VR have been falling into place. The equipment for making and viewing the content has matured and moved into the mainstream. Very cheap kits such as Google Cardboard allow people to view content on their smartphones, and more expensive headsets like the $600 Oculus Rift, expected to begin shipping later this month, offer a much more professional-level experience. Special cinema seats can heighten the experience even further as they jolt viewers with what’s happening in the virtual environment. Currently gaming is considered the leading application of VR, but the technology is evolving into a medium to deliver social experiences. For example, Samsung is teaming up with one of the world’s largest amusement park operators, Six Flags, to launch a series of VR roller coasters equipped with Samsung's Oculus-powered Gear VR headset. Samsung, Google and Facebook-owned Oculus VR are not the only technology brands vying for a place in this market; HTC, Razer and Sony are in the running too, and Apple is sure to be eyeing up the opportunities carefully. 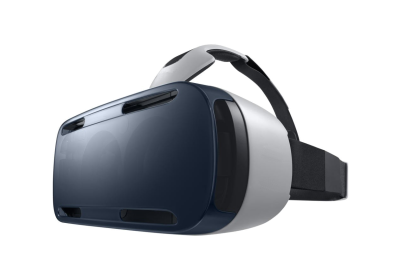 We expect the VR activity to continue in 2016 as this turns into a breakthrough year for the medium. But it's early days for the technology, with applications still finding their way and a number of challenges for content creators and viewers still need to be solved. Prolonged watching on a VR headset is usually an uncomfortable experience, with current devices better suited to shorter "snacking" sessions. The opening of venues like Amsterdam's VR Cinema will be more about the technology and the initial experience rather than the movie itself. CCS Insight offers comprehensive coverage of this market. See here for details of our latest forecast of shipments and revenue in the VR space.